Calling it "fast, modern, safe and interactive," Apple on Monday unveiled Swift, a brand new Xcode programming language that it says is superior to Objective-C. 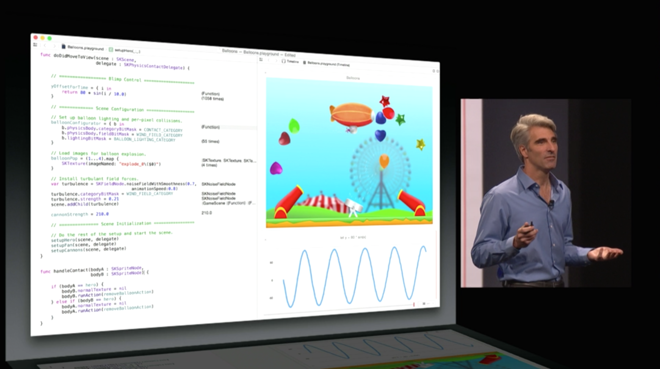 In a demonstration, Apple showed off the "Swift Playground," where developers write code and how results are displayed as soon as code is written. 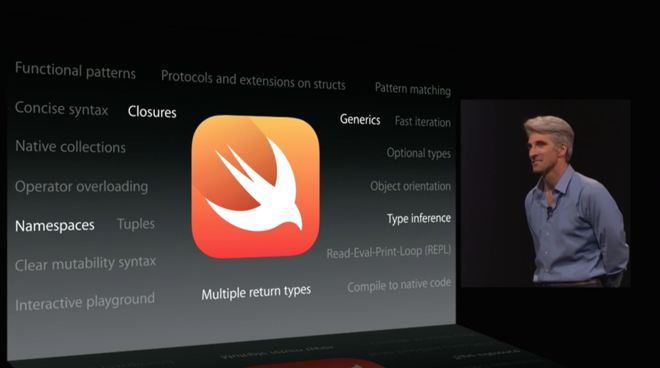 Apple says Swift was designed from the ground up for Cocoa and Cocoa Touch. Swift can be used for basic apps, like social networking, or advanced 3D games using the new "Metal" graphics optimization. And because it operates alongside Objective-C, developers will be able to seamlessly interchange languages. Included in Swift are Generics, which allow developers to get more done with very little code written. In one example, an entire list of images was loaded with one simple line of code. Swift Playgrounds also allow developers to see the entire history of a value over time as an application runs. Swift also includes full control of time, so a developer can fast forward or backward to see how their app might react in certain situations. When it ships, Swift will have complete Xcode support, and a language guide is already available to developers on the iBookstore. 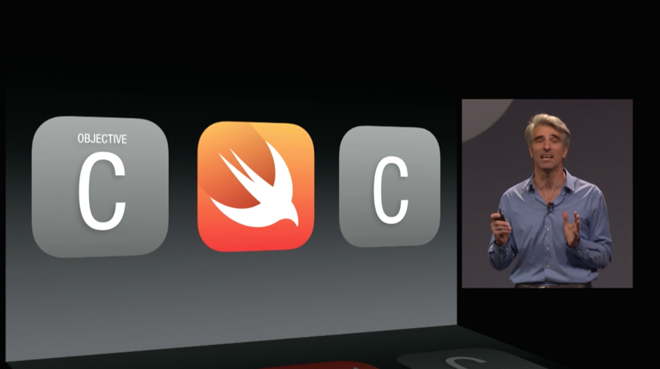 Developers will also be able to submit apps written in Swift to the App Store when iOS 8 launches later this year.